Gather your friends for breakfast and make these tender, sprinkle-topped chocolate cake donuts! They're vegan and gluten-free, so everyone can enjoy them. And did we mention chocolate? These are baked donuts (as opposed to fried) and while I generally try not to write recipes that require special equipment, you do need a donut pan to pull these off. 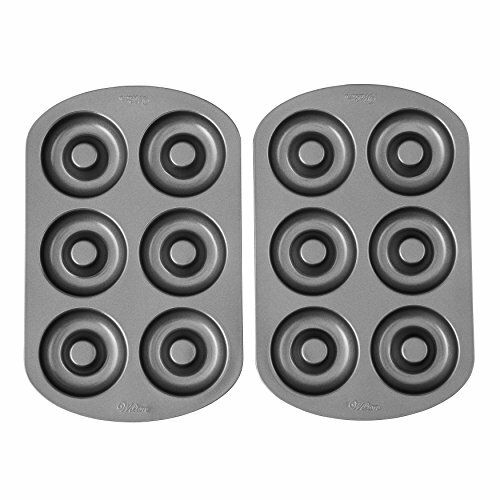 That said, donut pans are relatively inexpensive and are widely stocked at kitchen supply stores and online outlets—I used Wilton’s Donut Pan for this recipe. Once you’ve got your donut pan, you’re well on your way to tender, fragrant chocolaty morning donuts! I use coconut oil for this recipe because I love its sweet, natural fragrance and think it pairs really well with chocolate. That said, you can use any oil you’d like. Do be sure that your coconut oil is completely melted but not hot. After you warm the oil and it becomes liquid, let it sit at room temperature to cool for a good ten minutes. This ensures that once you add it to the other liquid ingredients, the mixture will remain smooth. Use any non-dairy milk that you like and warm it up before mixing into the batter. I like soy or oat milk for this recipe. If you use it straight from the refrigerator while it’s cold, there’s a chance that your coconut oil will seize due to the temperature difference between the two liquids. It’s best if the milk and the oil are the same temperature. If you’ve never baked gluten-free before, I highly recommend using Bob’s Red Mill 1:1 Gluten Free Baking Flour Blend for this recipe. If you’re using a different blend, double check the ingredients. If it doesn’t contain xanthan gum (or another binding ingredient like guar gum or psyllium husks), I recommend adding 1/2 teaspoon of xanthan gum to ensure success. This batter is quite thick and sticky, so you’ll need to spoon the dough into the donut molds and then press it in each mold with your fingertips. Do your best to smooth out the tops — they’ll ultimately be the bottom of the donut so if they’re a little ugly it’s not the end of the world. These donuts are really best eaten the day they’re made, so invite a few friends over this weekend, and settle in for a cozy breakfast together. The donuts have a mild cocoa flavor and a lovely, light texture, and the glaze packs a rich, chocolaty punch. If you are seeking a slightly indulgent morning or brunch treat, look no further. Hello! All photos and content are copyright protected. Please do not use our photos without prior written permission. If you wish to republish this recipe, please rewrite the recipe in your own unique words and link back to Gluten-Free Chocolate Cake Donuts on Simply Recipes. Thank you! We love Mighty O! We go every time we’re in Seattle. And they are the best vegan “cake” donuts EVER! Now, if you want an amazing vegan “fried” donut, come to Las Vegas and try Ronald’s! Ooohhhh thank you! Noted re: Ronalds!